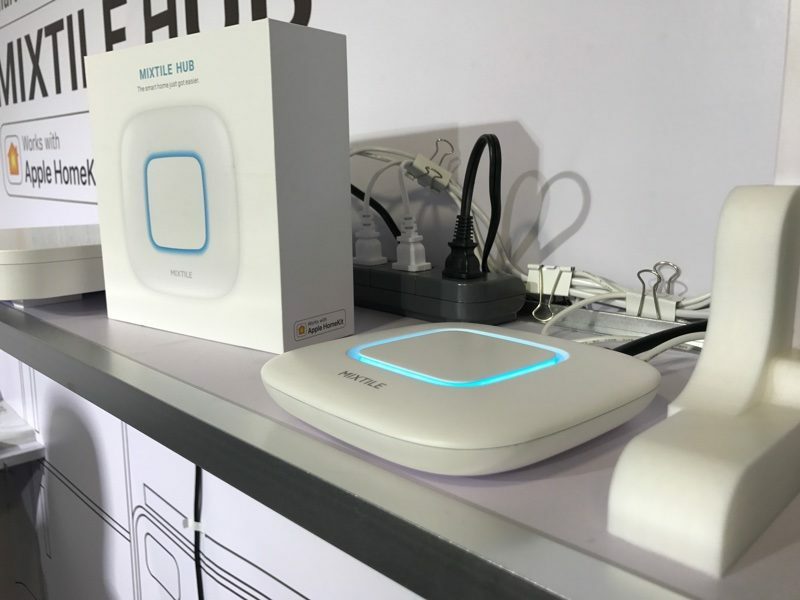 Focalcrest, a Chinese company focusing on intelligent hardware solutions, today debuted a new HomeKit hub that promises to bring HomeKit connectivity to various connected home products that would not otherwise be able to interface with Apple's smart home platform. 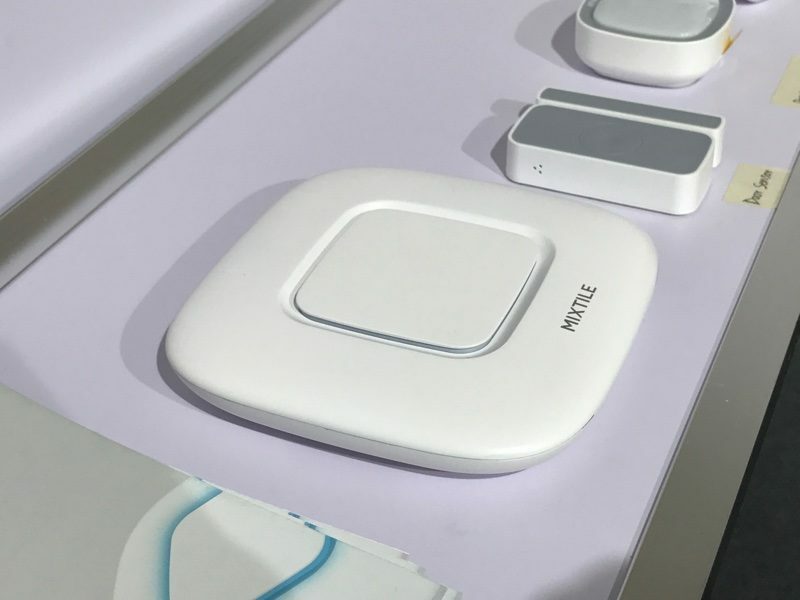 The Mixtile Hub, which is MFi certified by Apple, is designed to connect to ZigBee and Z-Wave products and interface with HomeKit, allowing them to be controlled in via Siri and with Apple's Home app. The hub plugs into a television set, which is used as a display to allow users to discover smart devices located in the home. 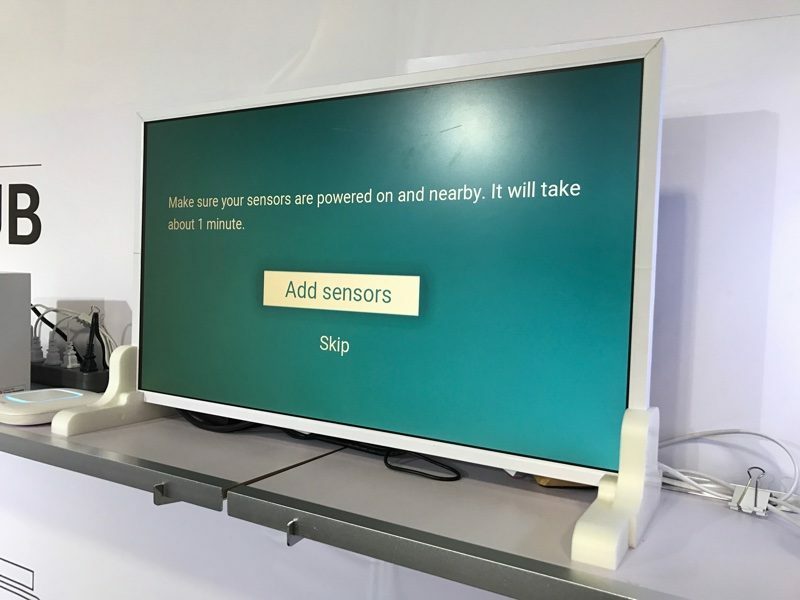 From the television, the devices can be connected to the hub, and an accompanying smart phone app allows users to designate what a product does so that it can be used appropriately through HomeKit. According to Focalcrest, it can interface with Z-Wave and ZigBee products, as well as connect to various smart home devices through Bluetooth and Wi-Fi. Focalcrest did not provide specific examples of the kinds of hardware the hub can work with, so there are some unknowns with the product at this point in time. The Mixtile Hub supports wireless communication protocols such as ZigBee, Z-Wave (optional), Wi-Fi, and Bluetooth. It can also communicate with various other sensors (temperature and humidity sensors, optical sensors, door sensors) surveillance devices (monitors, alarms, intelligent locks) and smart home products (intelligent lamps, outlets and air conditioners), through ZigBee and Z-Wave. Several existing hub-based HomeKit products work the same way as the Mixtile Hub, such as the Philips Hue. The Philips Hue base station is HomeKit enabled, while all bulbs connect to and receive commands from the base station using the ZigBee protocol. ZigBee and Z-Wave are popular options for smart home products that don't support HomeKit. Many home security companies use Z-Wave, as do some major brands like Honeywell, GE, Schlage, D-Link, and First Alert. A wide range of connected home products use ZigBee, like the Logitech Harmony Remote, Cree lightbulbs, GE lightbulbs, and more. Hardware wise, the hub is equipped with a quad-core processor, 1GB RAM, and 8GB of storage space. It has a built in 2,500mAh battery, dual microphones, an Ethernet port, an HDMI port, a micro-USB port, and a USB 2.0 port. Focalcrest says the Mixtile Hub will be priced at approximately $150, and it will tentatively see a release sometime around March of 2017. I wonder how people in the comments are going to twist this article to make bad comments about Tim Cook. Let me take a crack at it. * It took a Chinese company to add on the functionality that should have been there out of the box. * Samsung already did this. Apple has lost all innovation. * Someone should fire Tim Cook. * Google has already done this. Apple is years behind the competition. * So Fire Tim Cook. I do have to admit I have taken part in some of the Apple bashing going on lately, although I blame the company as a whole and not one man. I want this. REALLY BAD. I have been halfway surprised nobody has made this yet, then again not so surprising as it seems every manufacturer has an outsized value of themselves and think they are a platform. (Wink, Wemo, etc etc). So yet another 3rd party filling in the gaps of Apples lack of innovation or cooperation with the tech industry. Don't get me wrong, HomeKit is a good idea, but promoting it as the only way your Siri enabled device will talk to home automation devices is short sighted. There are a lot of products that work together without licensing a proprietary sdk, Echo for instance can work with Philips Hue or Nest thermostats without Amazon imposing its own intellectual property on other companies and forcing them to work the way Amazon warns them to work. Instead Echo adapted to work with other products, even products that came out years before it like Nest. Apple wants you to have to rebuy products to work with its platform, and I don't like that. I'm not in the habit of buying $300 thermostats whenever someone happens to support Apples platform. And Apple has a long history of deprecating technology to promote a new platform on a whim, I wouldn't be surprised if all HomeKit devices today no longer work in a few years when HomeKIt 2.0 comes out or Apple decides home automation is absurd because they failed to make it captivating. While HomeKit might be the AAA solution for Siri support in the home today, there is no reason for Apple to not play nice with other platforms and protocols. I mean it can only be a win/win for Apple to empower more devices with Siri, even if they begrudgingly have to use a third party protocol, yet Apple's constant walled garden approach to innovation is why their platform has been slow to establish in the home while Alexa has taken off far more quickly. So, the idea of a third party box acting as a mediator between Siri and the rest of the world is attractive, but it's a shame you need to, once again, glom on another box, dongle, or add-on to make Apple work better for you in the real world. I'm slowly moving backward with technology. The more I know the less I desire a "smart" life. Yeah, why does the security of a device IN YOUR HOME matter at all... meh, just go with the devices that can become great botnet candidates. Excellent choice. …there is no reason for Apple to not play nice with other platforms and protocols. Actually, there is a very good reason: security. ZigBee and Z-Wave have both been shown to have major security flaws. The technology was largely developed before our modern security concerns even existed. These old protocols, designed to turn lights off and on, are just not suitable for things like door locks. Sure, they're improving security in newer versions, but old devices aren't upgradeable. The reality is that we're living in a world where lightbulbs can run code and be used as a foothold device to hack the rest of your devices and computer in your home or business. Apple may be the only company really taking this seriously even though it's costing them short-term marketshare. Dude...you left 20 bonus points on the table by not integrating the favorite mice-nuts tiny rants of those still in junior high school, "watchbands" and "courage," into your narrative.